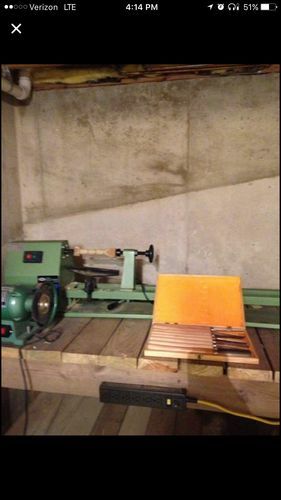 I’ve got an opportunity to buy this lathe and chisels for 100$. Never owned/used a lathe but I wanna start. 100$ seems kind of cheap, am I missing something? Or does it look good? It’s a cheap lathe, that’s why the price is cheap. Might be alright for starting. These tips for buying a vintage lathes are also helpful for buying any used lathe. Very helpful. That’s the kind of info I was hoping to find when I posted. Thanks. I can’t tell much from the pictures. I would make sure the tailstock and headstock have #2 Morse tapers. This lathe is mainly spindle work because the low speed is 900+ rpm. You would need a well rounded blank for turning bowls. The tools look very inexpensive. The lathe itself is only a small cost compared to the tools and sharpening cost. I’m not a great user of carbide tools, but they have their place. You can buy the inserts and make your own or buy some carbide tools so you don’t have to deal with sharpening. 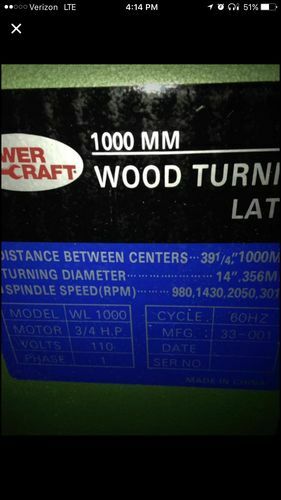 I’d say it is worth a $100 for a starter lathe.